The Gold Medal High-Output Tornado is preferred and used by professional operators throughout the world. 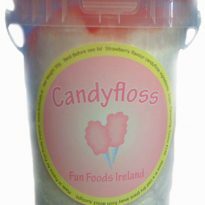 It is the world’s highest production candyfloss machine and a big favorite among funfairs, circus, amusement parks and any other large venues needing large quantities of candyfloss in a short period of time. Production of over 8 servings per minute is easy with the heavy-duty motor, oversized brushes and huge auto transformer with built-in voltage booster and Energy Management System (EMS) to maintain consistent temperatures. 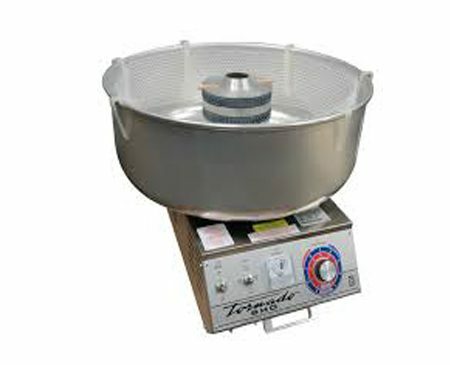 Includes 26″ aluminum floss pan and Whirlgrip Stabilizer. 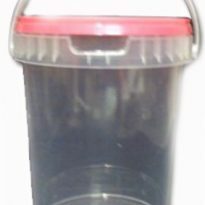 The Gold Medal 3007 High-Output Tornado candyfloss machine incorporates a high output spacer between the upper and lower floss band and ribbon assembly (two 7″ heating elements are separated by a 3/4″ spacer). 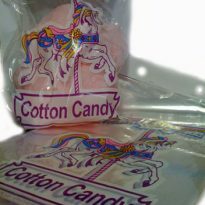 This extra three quarters of an inch coupled with the leather floaters and unique production properties of High-Output Tornado candyfloss machines will produce more candyfloss per kg of sugar – providing more product and more profits.